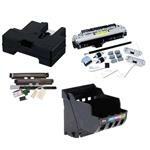 ZEBRA TECHNOLOGIES 48017 products are engineered to bring out the best in digital printing. Whether you need to reate a high-end customer brochure, a captivating proposal or presentation, an eye-catching business card, poster, pamphlet or window decal, you get results with Digitally Optimized Paper and Specialty Media. All of our products have been designed, extensively tested and qualified by engineers to ensure optimum performance and outstanding productivity.